As if Chris Cornell wasn’t popular enough just from being the front man and lead singer of the band Soundgarden, he also has a whole solo career that’s just as big. He’s also done projects like Audioslave and Temple of the Dogs, along with many other collaborations. This time around he’s releasing his newest solo album named Higher Truth in mid-September. The first track to be released from the album is a song called Nearly Forgot My Broken Heart and you can watch it down below as we have embedded it from his YouTube channel. It seems that when Chris Cornell does his solo work, it’s much more mellow than most of the work he’s done with Soundgarden and even Audioslave. This new record seems to follow that pattern as you will hear as you listen to each of its songs. Chris Cornell as usual can sing just about anything although his voice is sometimes sounding a bit harsh. This is no surprise being that he has had one of the best voices in rock music for many years now. Listen to the first album from Soundgarden and you’ll be surprised he even has any voice left! Check out his first single Nearly Forgot My Broken Heart, from his latest solo work, below. If you didn’t know, Chris Cornell is actually on tour right now for a short while, Visit Our CHRIS CORNELL TOUR PAGE for all his tour and concert info along with some music videos. Chris Cornell’s Latest Solo Album is Due Out Soon! It’s Called ‘Higher Truth’. Chris Cornell has a huge fan base. Ever since he fronted Soundgarden, he’s been a huge success. From Hard Rock to Rock Ballads, he’s got some of the widest voice ranges around. 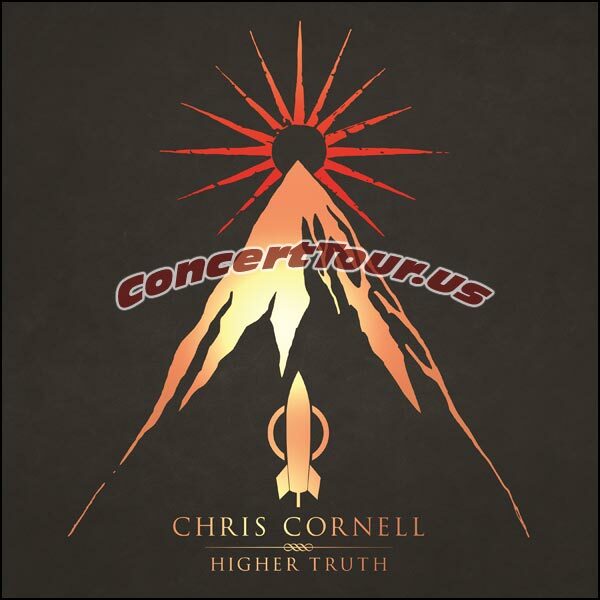 His latest album Higher Truth will prove to you that Chris can also sing mellow, melodic tunes and he still sounds as good as ever.